Tired of frizzy hair? See what's new from Redken at Hair Cuttery: Redken Smooth Lock shampoo, conditioner and leave-in cream products. Perfect for wavy and curly hair, the Smooth Lock product line will leave your hair feeling like silk, transforming all curls to a healthy and glossy look. 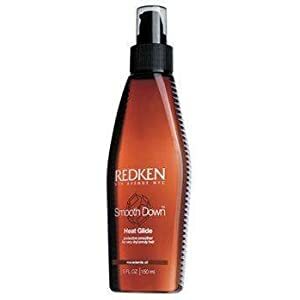 While the shampoo and conditioner nourishes dry hair and improves manageability, the Redken Smooth Stay Sleek Leave in Cream and Heat Glide Protective Smoother provide smoothness for up to 3 shampoos and can tame frizz on even the most rebellious hair! These products are a must-have for anyone you wants to fight frizz and reduce their daily styling time! Redken Smooth Lock Shampoo; Redken Stay Sleek leave-in Cream; Redken Heat Glide Protective Smoother.